I can assure you that you will love the HTC's new T-Mobile tablet offer. Though HTC Flyers runs on Android 2.3 Gingerbread but considering the hardware part, it has very wealthy hardware. You can buy it from HTC for $299 with a new mobile broadband plan or $454 with a contract extension. Sadly, neither party's tossing in the HTC Scribe pen gratis. 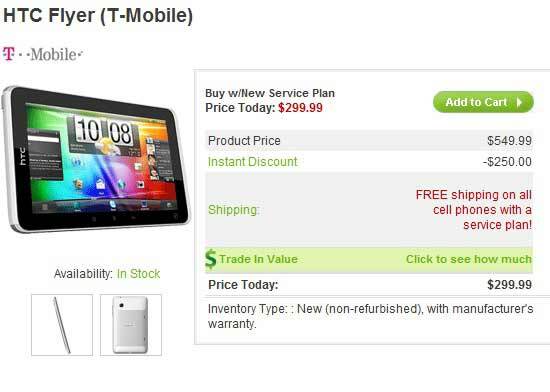 Unfortunately HTC Flyer is not still on the T-Mobile site yet for sale.